Collect a few days of classroom trash without students’ knowledge. Say, “Can you name some of your favorite super heroes? Did you know that you could be a hero, too? You could be a hero who helps to save the Earth! Let’s find out how." Read the book Kids Save the Earth: Recycle Every Day, which explains in simple terms the abundance of trash in the landfills and ways to slow the process. Students hear about simple ways that they can recycle and reuse things. Show students items from the trash that you have collected. A broken crayon? A barely used piece of writing paper? Large pieces of construction paper? An empty plastic water bottle? Decide on labels for the empty boxes to sort items. Enlist ideas for dealing with these things. Broken Crayon – Collect broken crayons, remove the paper from them, mix a variety of colors and place in muffin tins. Bake at 150˚ until melted, then cool and pop them out of the pan. Use them to color. Turn on its side and cut a slit in the top. Decorate and use as a bank. Partially fill with beans and use as noisemakers. Cut off top portion and plant seeds in the bottom section. Fill with birdseed. Cut two small holes on opposite sides. Slide a wooden spoon through the holes. Hang from a tree and use as a bird feeder. Writing Paper – Make a rule that paper must be used on both sides before placing in a designated box. Scrap Construction Paper – Place pieces of construction paper in an “Art" box for use in art projects. Do you take more than you need? Do you keep more than you use? Is your closet, desk, bedroom or house a cluttered mess? A pack rat named Pinch learns how to “Reduce It" in the book Stuff: Reduce, Reuse, Recycle by Steven Kroll. Read and discuss the book with your students. Challenge them to reduce something in their homes (closet, desk, junk drawer, toy chest) with the help of a parent. Then ask them to share what they reduced with the class the next day. Choose a day every two weeks or once each month to challenge students to have a “Trash-Free Lunch Day." You may try to enlist the help of the cafeteria but if that is not possible encourage packed lunches to be trash-free. Pack items in reusable containers and use a washcloth instead of a paper napkin. Take a few minutes to have students share their trash-free lunch ideas. Gagne, Tammy. 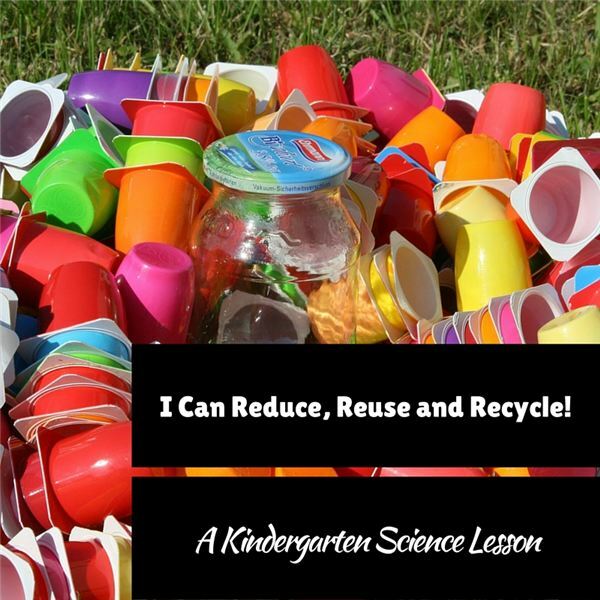 Kids Save the Earth: Recycle Every Day. Amicus Publishing, 2014. Young, Karen Romano. Junkyard Science. National Geographic Society, 2010. Kroll, Steven. Stuff! Reduce, Reuse, Recycle. Marshall Cavendish Children, 2009.